Peter Burris’s experience as a professional horn player includes the Victoria Symphony 1977 to 2007 (2nd & 3rd Horn), Hamilton Philharmonic 1994, Principal Horn and Vancouver Symphony, 1990 – 2001, extra horn. 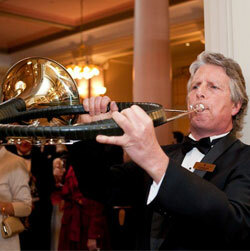 He has also performed as a soloist with the Victoria Symphony. He has taught horn studies at the Victoria Conservatory, 1985-Malispina College, International Music Camp (North Dakota), and Saskatchewan Summer School and his teachers include Richard Ely, Christopher Leuba ( Chicago Symphony), Doug Kent (Vancouver Symphony), Ivor James, Hermann Baumann, and John Barrows.